Hi everyone, on today’s show we have my friend Edwin Choi, VP of Marketing at Mobovida, a progressive vertically integrated online retailer of mobile accessories. In today’s episode we’ll be talking about how Edwin and his team make use of the data they’ve been gathering to develop products that really speak to their core audience, like their top selling product, the “Mobovida Wallet Case.” We also chat about Mobovida’s 62% YoY growth rate, their two favorite marketing channels, and how they manage to continuously grow in such a competitive space. [3:28] – For 2016, they are on track for a 92% year over year growth rate. They are doing this by making heavy investments in Facebook ads and email marketing. [04:24] – They like to move at the speed of light and are very data-oriented. Everyone is empowered to act on data in real-time. [5:15] – For hiring, they look for a blend of intrinsic and personal skills. They want a certain personality that can work well with the team. They also want people who work extremely hard. Driven to hit their numbers and driven to improve themselves. They also want individuals who are coachable and apply feedback. They use situational questions to see if feedback is readily accepted. [7:55] – They are sourcing talent by reaching out to local schools or referrals. [9:54] – They use recipes they test with Facebook to see what creates above average conversion rates, once they find a recipe that works they pour budget into it. They target specific genders by color. Facebook targeting opportunities are unprecedented. [13:15] – Once a customer is acquired, they use email marketing to target the customer. [16:41] A big struggle they have faced is difficulty maintaining growth when their marketing channels have a cost associated with it. They have now started investing heavily in content marketing. Edwin: After we test them, we figure out that there are certain patterns that create above average click-through rates or above average conversion rates. Then, we start tweaking the recipes until we get something that works, and then once it works, we just pour budget into it because we're so confident that it will move, and then we just scale from there. Voiceover: Do you want to impact the world and still turn a profit? Then, you're in the right place. Welcome to Growth Everywhere. This is the show where you'll find real conversations with real entrepreneurs. They'll share everything from their biggest struggle to the exact strategies they use on a daily basis. If you're ready for a value-packed interview, listen on. Here's your host, Eric Siu. Eric: Before we jump into today's interview, if you guys could leave a review and a rating, and also, subscribe as well, that would be a huge help to the podcast. If you actually enjoy the content and you like to hear more of it, please support us by leaving us a review and subscribe to the podcast as well. Thanks so much. All right, everybody. 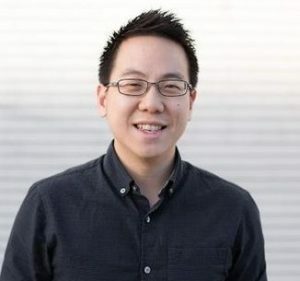 Today, we have my friend, Edwin Choi, who's the VP of Marketing at Mobovida, which is a progressive, vertically integrated online retailer of mobile accessories, and I'm going to let him explain what the heck that means exactly. Edwin, how is it going? Edwin: It's going awesome, Eric. How is it going for you? Eric: Good. Thanks for being here. Why don't you tell us a little bit about yourself and what you do? Edwin: Yeah. I am with Mobovida, and we are an online retailer, but we're also an online brand. What we found out while we were growing the last 4, 5 years is that, "Hey, if we can sell others people's stuff very well, why not try to sell our own brand as well and utilize the online retail presence that we've been building for the last 14 years?" We have a lot of data on our customers, and we have the wealth and knowledge about what makes them tick, and that allows us to develop products that really speak to our core audiences. We feel like we can circumvent a lot of the costly product development life cycles that are in play in the market right now, and we can utilize our direct response channels to test it really rapidly. My role here as the VP of Marketing, I oversee the digital marketing team who I believe is one of the best teams in the country, and also oversee the purchasing business intelligence and merchandising teams as well. What we do on a daily basis, we simply look for growth. That's the number one goal for the entire company and for all of the teams. Eric: Fantastic. Can you talk a little bit about maybe your top 2 or 3 sellers, so people have an idea of what you guys sell? a wallet or a purse when you go out. It's made with high quality leather, and it comes in colors that we've actually tested against our audiences on Facebook. Once they took off, then we put those in our mass production, and we can't even keep these things in stock. The second thing that has done really well for us is our Mobovida chargers. We just ran out of stock on those, but they're rubberized chargers. They charge very quickly, 3.1 milliamps, and they have 2 ports, so for the ultimate convenience when you go traveling. Eric: Okay. Can you talk about some of the success metrics you guys have had in the last couple years? We can talk about growth rates, revenues, whatever you can share. Edwin: Yeah, absolutely. We started off 2016 with a bang, so we are on track for 62% year over year growth rate right now. In terms of growth, we always look at topline revenue and net profit, so those both have grown at a clip of 50%-plus year over year, and the reason why we've been able to do this is that we are making heavy investments into two of our fastest growing channels, which is Facebook advertising and email marketing. Eric: Okay. Now, can you give us a range of where revenue sit, annual revenue sit? Is it, I guess, over or less than $10,000,000 a year? Edwin: It's over $10,000,000 a year. Eric: Got it. Fantastic, because a lot of people are probably thinking right now, "Well, this is e-commerce," and you guys are in a very competitive space. I guess this leads to my next question. It might be leading into it, but it sounds like the reason you guys are so successful in such a competitive space is because you guys have such a defined testing process where you guys can iterate quickly, and you guys have all the data. You actually take action on it. Is that correct? Edwin: Absolutely. We like to move at the speed of light. We're extremely data-oriented. We almost like to say ... Internally, we have a religious devotion to data. No one is right. No one is wrong. We just look at the numbers, and everyone is empowered to act on a data almost in real-time, so we want to take away all the barriers to achieving growth. Eric: Okay. Now, one thing I want to talk about. I have met members from your team, and they're very talented, but you do have ... The way I look at how you bring about hiring these great people and training them, you train them from the ground up. Can you talk about your hiring process from top to bottom? Edwin: Yeah. The hiring process I believe is one of the most important things you can do in general as a company, right? The right hires can be a massive asset to the organization. Inversely, the wrong hire is going to be huge liability. What we do is we always look for a blend of intrinsics and personal skill, right? When I say that, I mean that we don't necessarily look for the people who are the most skilled or most experienced. What we're looking for is certain personality that would mesh well with the team that we have here. Edwin Choi Page 3 of 9 Some of the intrinsics that we look for is, A, we look for people who work extremely hard, right? These people don't know the definition of 9-to-5. They're people who are fanatically driven to hit their numbers, right? Then, B, we look for people who are intrinsically motivated to improve on themselves, right? This doesn't have to be necessarily career or work related, but we're looking for individuals that wake up every day and ask themselves, "You know what? What can I do to make myself better today?" Whether it'd be in your personal workout plan or your personal financial goals, we're looking for that drive of self-improvement. Number three, the most important thing is coachability, right? How are individuals able to take constructive criticism and feedback, and how quickly can they apply it to their day-to-day, so they can improve themselves, and in that process, improve the team? Eric: How do you test for coachability during an interview? Edwin: That's a really good question. We ask situational questions about what they've done before in the past for certain situations. Based on their responses, and their body language, and their tonality, you can get a good idea if someone bristles when they get constructive feedback or if they readily accept it, and if that's something that, "Hey, they're always looking for constructive feedback, and they're looking for chances to improve themselves. Eric: Can you give me an example of one of those situational questions you'd ask in regards to ... in relation to coaching? Edwin: Yeah. I would ask them, "What is the biggest mistake that you've made in your career so far, and how have you reacted to it?" A lot of times, individuals who make these mistakes ... What I'm looking for is, number one, the admit to it right away, right, and they talk to whoever is responsible or whoever is in the chain of command, and they own up to it. That's the good trait that we're looking for. Number two, if they can proactively also figure out the steps that they need to prevent that mistake from happening again, and number three, if they can handle the conversation that happens afterward. I'm looking for a conversation that is just honesty, has a lot of honesty, and it has a lot of plans for improvement in the future. If they can apply that in their day-to-day and they made some sort of change, then I feel like they're a good candidate to be coached. Eric: Great, and people often have time. You and I spoke about this. We speak about this offline, but it's really hard to find great marketing hires, especially junior people too, so where are you looking to source the talent? Edwin: One method that we use is that we reach out to local schools. We have relationships with the schools around our area. We have career advisors, and we give them a good idea of what we're looking for in terms of interns. Now, they always have a large roster of fresh talents and interns. If they have a clear idea of what we're looking for and if we pay it for too by hiring the interns within 3 to 6 months, then it's a really good working relationship with those schools, so that's one of the main ways that we hire talent. Number two is honestly referrals, right? If someone refers their friend or someone they know to your company, that's a huge thumbs up endorsement for the company, and they typically know who would make it and who would not make it here, so referrals is a great way to get new talent into the organization. Eric: I totally agree with that. Referral is by far the number one way of getting these people in. I never actually thought of using university internship system. I use like those different job words with colleges and all that, but I guess my question would be, are these schools ...? It appears that they're doing a good job of actually tracking whether their students get jobs or not. Is that how it works? Edwin: They may not actually do a good job of that. It's up to you to give them an update, right? If the career counselor emails you a resume, you wind up hiring that person. If we do hire that person, I would proactively email her back to say, "Hey, so and so did really well at the company. She's contributing X, Y, and Z. We actually decided to bring her on board full-time." The career counselor could feel really good about that. That's a personal success story for them, and they've been able to help this individual, so that creates a good reciprocal relationship. Therefore, you might actually get talent faster than any of the other companies that they work with. Eric: Great takeaway. Build a relationship with people. It's all people business at the end of the day. Okay. Let's talk about customer acquisition for a little bit. You talked about Facebook ads working for you guys. What are you guys doing exactly to make it work for you? Edwin: Facebook has a wealth of data on everyone that uses Facebook. They know literally everything about you, right? We've been able to take what we call "recipes," so we take different ingredients, and these ingredients could be ad copy. It could be product targeting, and it could be different demographic attributes as well, and we rapidly test these throughout our channel. After we test them, we figure out that there are certain patterns that create above average click-through rates or above average conversion rates. Then, we start tweaking the recipes until we get something that works, and then once it works, we just pour budget into it because we're so confident that it will move, and then we just scale from there. Eric: Okay. Now, what are you guys doing exactly on Facebook? Are you driving them to a product page where you just purchase exactly, or what does that look like? that testing to drive further results. Eric: Okay. Now, let's go back to your team for a little bit. What does the organization of the Mobovida team ... the marketing team look like? How is that built right now? Edwin: The way it's built right now is that each individual has a portfolio of channels that they manage, so they have multiple chances to hit your numbers. It might be AdWords and another channel like Gmail ads or it might be Bing ads and another channel like YouTube [Shoppable 00:11:48]. Each of them have 1 to 2 core competencies, but we also encourage cross-teamwork as well, so a lot of times, we will cross-train people in certain channels or they'll hop around. Then, when we have discussions about email marketing, for example, it says multiple people on a team have done email marketing before they can contribute to discussion productively. They can add different angles or different test ideas, and in each individual on a team, we're in the process of enabling them to be analytics experts as well in Google Analytics and Omniture. When they feel like there's something in a data that's an opportunity, they can dig into it, pull it out, and act on it right away versus having to wait for an analytics expert to pull up a report and spoon-feed them in sites. Edwin: Seriously, user acquisition. We have always been a very strong paid search shop, even though paid search, as you probably know in the AdWords world, Google is making a lot of changes that are shaking up the entire industry, but we've been able to adjust, and survive, and thrive. AdWords and Bing continue to be the largest drivers in new user acquisition. Once we acquire a user, email is one of the biggest contributors to our rising lifetime value right now, and there's such a wealth of data available on email, and we're tracking pretty much everything about the customer from onsite behavior, purchasing behavior, and then now, we're starting to get into predictive behavior. That's a good one-two punch for us. Eric: Awesome. Now, I've always wondered because I don't do a lot of e-commerce stuff. I'm not too familiar with that. How does that email marketing funnel typically look? What goes into the sequence? Edwin: Yeah, so if you arrive on the site, you're going to get an email acquisition pop-up, and that pop-up is going to entice you to enter your email. Once you enter the email, you're going to get identified using our system, and there's also some cross-device tracking that we built into the site as well. Once we know who you are as an individual, we'll start sending you offers. Also, the offers will be tailored on your onsite browsing experience, so if you browsed a Galaxy S6 model page, we know you probably have a Galaxy S6, and then in real-time, all of your emails moving forward will only have Galaxy S6 products. start to predict when you're going to upgrade to the next iPhone, and then we might send you an iPhone 7 email right before your contract expires, and you'll get discounts on a brand new accessory pack for your iPhone 7. We also have upsell and cross-sell funnels in our email cycles as well as referral programs, so we try to squeeze every penny possible out of our email list. Eric: Okay. When you talk about the complexities of what you guys are doing with email right now, what are the critical tools involved here? Are these custom-build, or are you guys using some platform? Edwin: We are using Oracle Responses as our main ESP, so that's our platform, but we had to build a lot of custom tools to enhance our email experience. One of the custom tools that we built in-house is that if you visit our mobile site on an Android device, we detect your Android device. We house in a cookie, so then you don't have to really go anywhere on our mobile site for us to identify your device, but having that device type in our database will send out over to Oracle Responses, and that personalization led to double digit lift in conversion rates. We have a lot of little tools that are built into the site that's connected to our business intelligence server that allows us to get better and smarter with our email sends. Eric: Now, these tools. Are you setting the tone for this? Are you saying, "We need this type of functionality," and you're telling the engineers to build it? Edwin: Yeah, absolutely. It is a marketing-driven organization, so a lot of the development work that is ongoing on a day-to-day basis is marketing-driven. Eric: Okay. One thing that really pissed me off when I ran marketing on a startup before was that the devs were separate from the marketing team, so do you have engineers specifically focused on marketing? I guess how is that structured? Edwin: We do have a business intelligence managers and personnel on the marketing team that are also very, very well-verse in coding, so we really want to reduce the late tendency for any sort of these improvements because we want to get to the improvements as fast as possible because that allows us to play with the data and actually start testing. We have eliminated that late tendency by integrating a hybrid business intelligence/coder within our team. Eric: Great. You guys have been growing constantly. You're talking double digit growth, your year over year time, and sometimes, triple digit. What one big struggle you faced while growing this company? Edwin: A big struggle we face is that it can be very, very difficult to maintain that margin, that profitability when a vast majority of our marketing channels or have some sort of cost to it. In hindsight, 20-20, but in hindsight, I would've invested much more heavily in content and organic marketing in the last couple of years to try to help stem that, but better late than never. Edwin Choi Page 7 of 9 We started heavily investing in that this year, so that's a huge challenge is that as marketing costs continue to rise, you're always going to have to continue to hunt for new marketing channels that have a low cost per-acquisition. In this case, I feel like display marketing and ... I think Google feels that way too such as the Gmail ads, customer matching within the Google display network, Facebook, Instagram, and Pinterest are all the new frontiers, and they all represent some sort of gold mine at this sort of time. Eric: Right. Cool. Yeah. Are you guys doing anything with Pinterest right now? Edwin: We currently aren't. We are heavily focused on Gmail ads and a Google display network right now, but Pinterest is next on the list. Eric: Wonderful. Okay, so let's switch gears really quick. I want to talk about yourself. What's one piece of advice you'd tell your, let's say, 20-year-old self? Edwin: I would definitely tell my 20-year-old self that I would like to instill a sense of urgency in my 20-year-old self. Sense of urgency means that you look at every day as a potential, with the potential to improve yourself, right? It serves up productivity. I would say, "Hey, 5 years pass by really quickly. Make sure that you use those 5 years as effectively as you can," and that's what I would tell my 20-year-old self. Eric: No screwing around, huh? Eric: Okay. Edwin, because we know each other in real life, I always wonder from the smart people that I know personally. What's your learning process? How do you go about learning new things in general? Edwin: In terms of learning new things, what I would do is I would often read. I'm a big reader, so I would read about the topic and take copious amount of notes, and I really want to be fully immersed in what I'm reading. After I finished reading whatever material I was looking at, I have to put in action, right, because if you don't put in action, it just flies out of your head, and it never comes back, so I'll turn what my notes into action points. I'll start acting on it, and then I'll get data and feedback. As I'm doing this, if I ever feel like I'm hitting a wall, so let's say I'm doing a particular thing, I've gotten pretty good at it, but I'm not the best, then I would reach out for people ... to people who are much better than me at that particular topic or particular skill, and try to learn from them, and hopefully, get a good relationship going where we're tossing back test results back and forth. That's been effective for me so far. Eric: What would you say are some of the go-to spots that you go to in terms of blogs, magazines, things like that? helping spark new testing ideas. I think some of what they're doing right now and the quality of their articles are topnotch. Often times, when I read a Conversion XL article, I come back with something to try. Eric: Yeah. They have great stuff. I noticed their blog. They have this little thing, these little push notifications. More and more people are doing this from a company called "PushCrew." Have you guys looked into that? Edwin: We haven't looked into that yet, but that's something that's on the radar. Especially with us being a mobile accessory company, we're looking into more mobile-centric type of notifications and advertisements, so that's something that is in the plans for 2016. Eric: Interesting. Yes. It's just for the audience. I just started seeing this a couple months ago, and I just saw like 2 or 3 sites ... 2 or 3 of my favorite blogs with it yesterday. I'm just like, "I'm probably going to test it out today." Basically, what it does is it will send you notifications for ... It could be like a new event or it could be like when a new blogpost goes live, but it's going to show up, and then just think of it as push notification from your phone. Most of them are going to get opened all the time, so to me, it seems a little intrusive, but you got to test it, right? Edwin: Yup. You have to test it. Edwin: We have no idea what customers want. Eric: Yup, yup. For an ideal day, how would you structure a day? What time do you wake up? What does your morning routine look like, all that type of stuff? Edwin: Yeah. I typically wake up at around between 7:00, 7:30am. I like those early morning hours because you get to have a little peace. That's when I do a lot of reading. I'm starting to do some writing. That's when I check up on email and catch up on things that happen overnight, and I typically roll into the office around 10:00am, and I do my daily checks. I just make sure that nothing is on fire. Then, as I go through the day, I start to go through meetings to make sure teams are communicating well with each other. I set action items, and I typically go home around 7:00, between 7:00 and 7:30, and I do have a second wind between 9:00 and 12:00 that I like to do some productive work as well. It might be reading and taking notes or I might be watching videos or doing online courses. That's what I would describe as a perfect day. If it is a truly perfect day, I'll add in a weightlifting session here and there. Eric: Oh my god, it sounds like a full day of learning. Edwin Choi Page 9 of 9 an example would be when I wake up in the morning, I turn on all the lights, so I have to get up. Edwin: That's a good one. For me, I disable pretty much all notifications on my laptop. For instant messaging and email, all the notifications are turned off. I do have an ADD-like personality, so that forces me to only check my notifications or emails a couple times a day, and that allows me to be fully engrossed in what I'm doing, so I could get through my task much more quickly. Eric: Awesome. What's one must-read book you'd recommend to everyone? Edwin: My current favorite, I just read it, so it's top of mind, is "DotCom Secrets." It really showed me the value of the entire customer funnel. I used to have what I believe is a very narrow view of the customer funnel, but after I read that book, I felt like there's a lot more I can do pre-acquisition. There's a lot more I can do post-acquisition, so I've taken a long note on that that were just going to start to put into play. Eric: Awesome. Yeah. Just for the audience to know, "DotCom Secrets" is about marketing funnels. It's from Russell Brunson. It's an incredible book. I've read it as well. The thing is most tech people that are listening to this are probably thinking, "Marketing funnels, they're too aggressive. It seems scammy. Maybe it's only for info marketers only." Really, when you look at these concepts, you really only need to pull the foundation on pieces and use it for your own business, whatever way you guys communicate with your customers or whatever, but it's been proven that these funnels actually work, and they convert, so why not test it at the end of the day? I know a lot of people in the tech world are really adverse to this stuff. Yeah, totally, totally recommend that book as well. Edwin, this has been incredible. What's the best way for people to find you online? Edwin: They can find me online at edwinchoi.com or they can find me on Twitter at Mr., M-R, Edwin Choi. Eric: All right. Edwin, thanks for doing this. Edwin: All right. It's been a blast. Voiceover: Thanks for listening to this episode of Growth Everywhere. If you loved what you heard, be sure to head back to growtheverywhere.com for today's show notes and a ton of additional resources. Before you go, hit the subscribe button to avoid missing out on next week's value-packed interview. Enjoy the rest of your week, and remember to take action and continue growing.